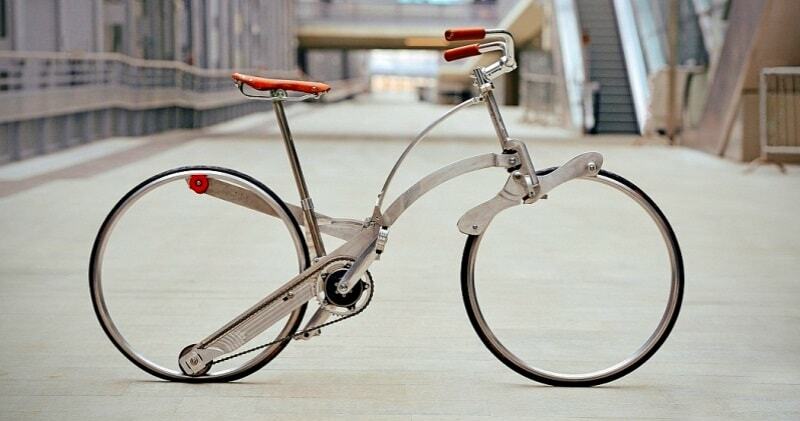 The idea of a folding bike has undertaken numerous studies that focus on reducing the weight and dimensions which have led, however, to realize too small sized bicycles. This is certainly something you don’t see everyday. An Italian designer by the name of Gianluca Sada has come up with a brand new concept which he hopes will revolutionise the market for folding commuter bikes. The frame sits on two completely spoke-free wheels with the chain powering a small wheel on the rear rim rather than a central hub. 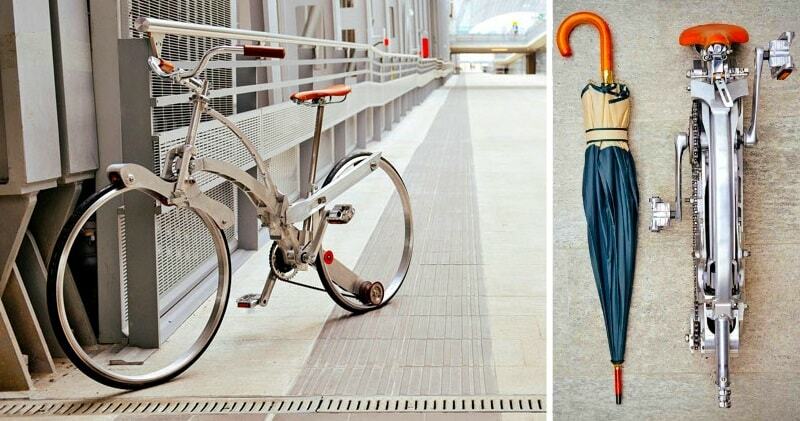 The whole thing folds up to the size of an umbrella when you press on the saddle. It’s made of aluminium, so it’s supposed to be pretty light (although his website gives no exact stats) and should be fairly easy to carry on a train, or a bus. The objective of this project is to have a cycle with standard dimensions ( wheels 26 “) and have a small package during transportation. The wheels have no spokes, the minimum size in closing, the system folder with the single movement, the packaging container can also be used as a backpack, are innovations of this script.